← Here’s the Dirt…"Shutters of Charleston"
Here’s the Dirt…My New "J"
I really like metal letters. I have a large collection that I use in different design work. it in the recent snow we had in Chattanooga. 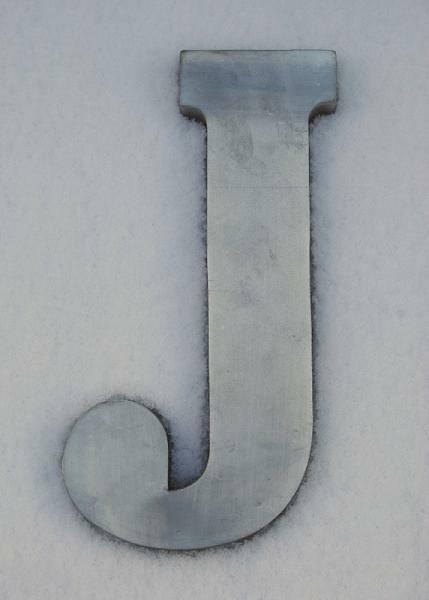 metal letters to create instant “wall art”.